In this tutorial, we’ll show you how to use Jenkins that is running on Kubernetes to then run canary deployments. We will create a simple web application, deploy it to Kubernetes, and then update the application. The updated application will be deployed for a small subset of users. Once we’re satisifed with our app deployment, we’ll see whether the updated application works as expected and then we’ll deploy it for all users. First, we need to disable automatic sidecar injection for the Jenkins worker pods. Navigate to Manage Jenkins > Configure System > Cloud > Kubernetes Pod Template, add a new Pod Annotation with a key of sidecar.istio.io/inject and a value of false. A Python container using the image python:3-alpine. This container is used to install the application for running tests and building the image in a subsequent step. A Docker container using the image docker. This container is used to build the image and push it to the IBM Container Registry. Additionally, two environment variables must be defined. REGISTRY_TOKEN is a token which allows access to the IBM Container Registry and IMAGE_REGISTRY is the container registry path. For IBM Container Registry it is registry.ng.bluemix.net/<your namespace>. A kubectl container using the image lachlanevenson/k8s-kubectl. This container is used to deploy the application to Kubernetes. A Flask application which listens on port 8080 and returns its version will be used to demonstrate a canary deployment. Create a new directory named deployment and create app.yaml inside it. The canary deployment is the same as the one in app.yaml except the name is different and no service needs to be defined. 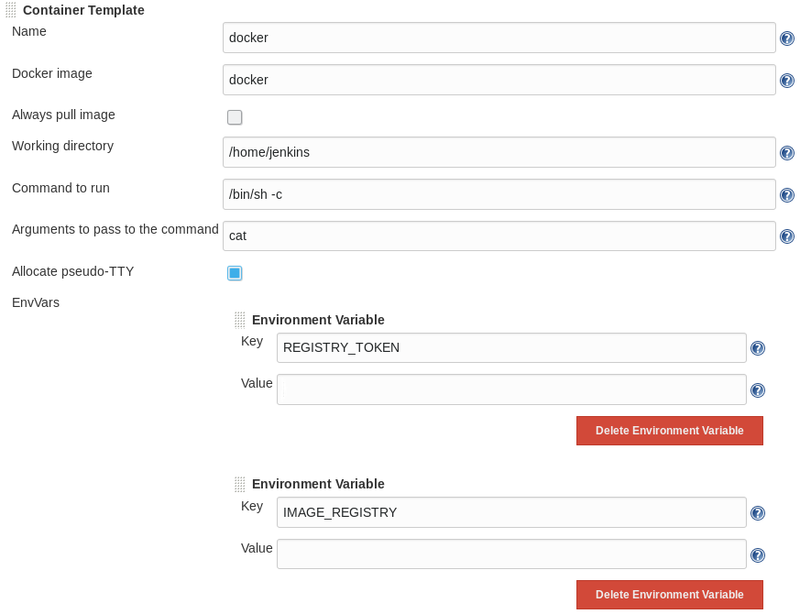 $ docker build -t registry.ng.bluemix.net/<namespace>/sampleapp:v1 . This creates a Service and a Deployment. To access the service from outside the cluster create a Gateway and VirtualService with Istio. Deploy the Istio configuration. Because there is no canary deployment yet, set the canary weight to 0 and the production weight to 100. Now let’s find the ingress IP address. Commit what we’ve done so far. $ git commit -m "v1"
Create a multibranch pipeline. In Branch Sources, add a new Git source and add the link to your sample application repository. Under “Scan Multibranch Pipeline Triggers,” check the box that says Periodically if not otherwise run and set the interval to 1 minute. By default, this will look for the pipeline definition in a Jenkinsfile in the root of the project. First, create the Canary branch. Commit the changes and push the branch. $ git commit -m "v2"
Because both deployments have the same app: label, the service will load balance requests across the master and canary deployments. While this does work without Istio, it’s much less flexible. For example, if you wanted to send 2 percent of all traffic to the canary deployment you would need to have a minimum of 50 replicas running. Istio decouples pod scaling and traffic routing. The service should now return a combination of v1 and v2 results. Once changes are pushed to the master, Jenkins will build and deploy the master branch. It will change the route weight so that 100 percent of traffic will be going to the production deployment.